The US State Department has offered a $3 million reward for any information leading to the arrest of Gulmurod Khalimov, a former Tajik police commander who is currently one of the main leaders of the Daesh terrorist group. While the press release labels him as a terrorist, it fails to mention that it was the US who actually trained him. “The US Department of State’s Rewards for Justice Program is offering a reward of up to $3 million for information leading to the location, arrest, and/or conviction of Gulmurod Khalimov (variant Halimov), a key leader of the terrorist group ISIL, also known in Arabic as Da’esh,” says the press release posted on the department’s website on Tuesday. The document also says that Khalimov is a former Tajik special operations colonel, police commander, and military sniper. 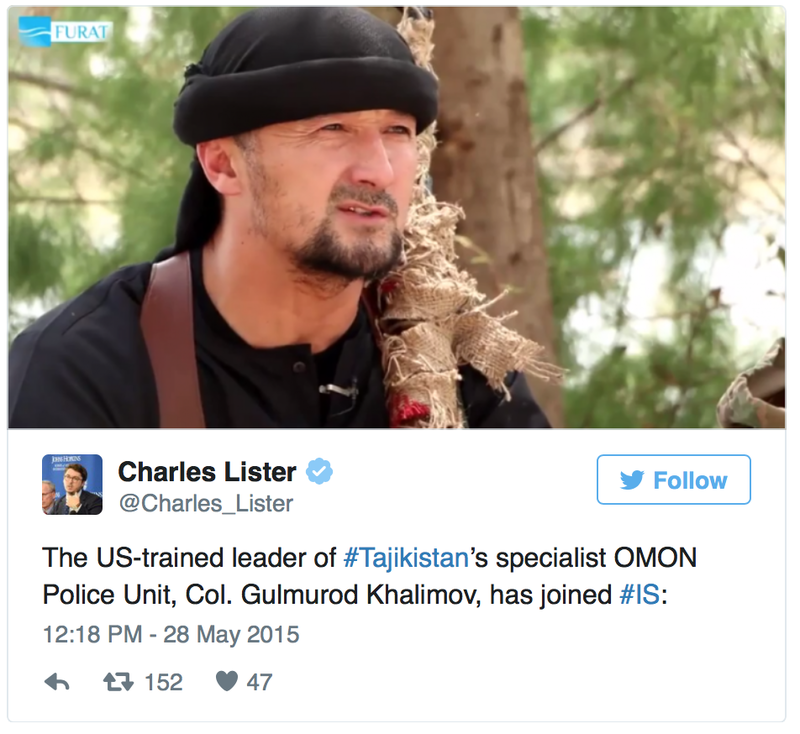 He was the commander of a police special operations unit in the Ministry of Interior of Tajikistan, or OMON, used against militants in the Central Asian nation. In April 2015 he vanished from Tajikistan but later resurfaced in a YouTube video saying that he had joined Daesh. “He is now an ISIL member and recruiter. In May 2015, he announced in a 10-minute propaganda video that he fights for ISIL and has called publicly for violent acts against the United States, Russia, and Tajikistan,” the press release says. 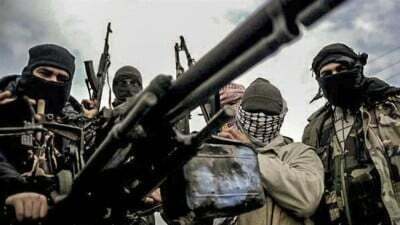 The document however does not mention that the person whom it designates as a Specially Designated Global Terrorist had undergone training on US soil. In the same very video where he is sitting against a backdrop of palm trees, brandishing a gun and surrounded by bearded, armed men, Khalimov reveals that he had spent years at US military training bases. “In 2003, I went to Baton Rouge in Louisiana, to undergo special training with the US Special Forces,” the man says. “In 2008, I also underwent special training, again at Baton Rouge,” he continues. “From 2003 to 2008, I had special training in America at a Blackwater military base,” he further reveals, adding that there they were trained to fight against Muslims and Islam. Back in 2015, RT news channel contacted the US institutions involved in his training for information. The Pentagon then responded that “the individual services would track foreign military personnel, who have received training”, and advised the channel to contact them. Therefore it remains unclear what kind of extensive training spans 5 consecutive years. According to the US media, the State Department has confirmed this claim. “From 2003-2014 Colonel Khalimov participated in five counterterrorism training courses in the United States and in Tajikistan, through the Department of State’s Diplomatic Security/Anti-Terrorism Assistance program,” said spokeswoman Pooja Jhunjhunwala. The program is intended to train candidates from participating countries in the latest counterterrorism tactics, so they can fight the very kind of militants that Khalimov has now joined. A State Department official said Khalimov was trained in crisis response, tactical management of special events, tactical leadership training and related issues. Long before his training in the US, Khalimov also claimed that he underwent training with the Russian Special Forces, back in 1997. Several months after the release of the video, in September 2015 the US Department of State designated Khalimov as a Specially Designated Global Terrorist under Executive Order 13224.